UPDATE: While the concept of Mana Midwifery, and all that it stands for, still rests close to my heart I have since decided that it no longer is the right reflection of who I am as a human and what my practice is all about. The new name for this little midwifery practice is Grow Midwifery and Ayurveda, and you can read all about how I came to this new name here. The name actually has nothing to do with MANA, a large professional organization for midwives (inclusive to all types of midwives) that is based in the U.S. but includes Canada and Mexico. It came to me long before I even knew MANA existed, when I was just realizing that I wanted to be a midwife. I went to my first birth when I was living on the island of Maui in Hawaii. 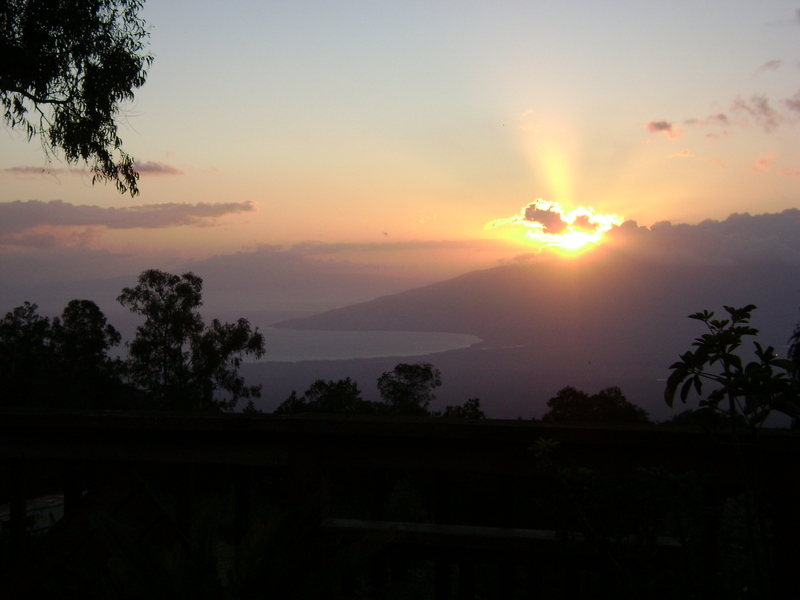 Living on Maui proved to be a very important time for me– I changed many aspects of my life, and grew in immeasurable ways. I started studying Yoga and Ayurveda there, and developed a love for the ‘aina (translates to land in Hawaiian) and the people there. I found a really amazing ohana (this directly translates to ‘family’ but is a much broader concept than blood relatives). I learned about the beautiful culture of the Hawaiian people that still thrives today, through their hard work and dedication and in spite of the US determination to eliminate it. A beautiful view of my Maui home. Full of mana. One of the concepts that I learned about while I was there was the Hawaiian idea of mana. Mana is the life force/spiritual energy/healing energy that runs through all things. The essence of life. I first heard about mana while I was working on Haleakala– the dormant volcano that created a majority of the island. Haleakala is a place of great and healing mana for the Hawaiian people. I was privileged to work for the national park that helped protect it. It was shortly before I got the job at Haleakala that I went to my first birth– a 3 day long home birth, attended by a Certified Professional Midwife. It was an amazing and miraculous event for me. It was after that birth that I knew I was meant to be a home birth midwife. So, I started taking an introductory course in midwifery (while working at Haleakala National Park) to really suss out how one becomes a midwife. During this course, I had a fantastic dream. It was so vivid and real, a true sleeping vision of my future. I was a midwife serving my Maui ohana, and the name of my practice was Mana Midwifery. I knew after that dream that I was going to be a midwife, that I would return to Maui to practice, and that I would practice under the name Mana Midwifery. That this was/is my true calling. I have carried this dream all though my education– through my move to Maine to start midwifery school, through my move to Minnesota to start my apprenticeships, and I will carry it through my next endeavor to the Philippines to get more experience and volunteer. This dream, it whispers to me, calls to me. A constant reminder of where I am going and who I am meant to be. This is really why Mana Midwifery; It is my way of honoring the mana present in every human being, in and out of the womb. It is my way of honoring the mana that flows through all birthing people and midwives, past, present and future. And I will honor the Hawaiian culture that provided me with this purpose and name by providing the best possible care to my Maui ohana. Mana Midwifery. Previous PostPrevious Loving what I do! Next PostNext Ina May on DemocracyNow!